The Serenity Pool at the Four Seasons Resort Maui. Photo courtesy Four Seasons Hotels and Resorts. The Garden Wing rooms at the Contemporary allow you to stay in the most expensive neighborhood at Disney—the coveted “monorail” line, which is the closest to the Magic Kingdom—without having the most expensive house on the block. By not paying the premium to have a lake view or a theme-park view in the main Tower building, you can enjoy staying at a deluxe resort in one of the best-priced rooms. The Port Orleans French Quarter Resort is in Disney’s moderate category, but don’t dismiss it. This sweet Dixieland-themed property has only 1,000 rooms, so there’s less competition for space at the pool and the food court than at other mid-priced resorts, which can be twice as large. The kids will love the water slide, and the whole family will appreciate the direct buses to each of the parks and the option for a boat ride on the canals to Downtown Disney. Read Michelle’s Insider’s Guide to Disney World, Orlando, and contact her through our site to be marked as a VIP and get the best possible trip. Families headed to Maui might consider the Grand Wailea, where the enormous pool deck is a kid’s paradise, with nine interconnected pools, four waterslides, caves, waterfalls, and even a rope swing. Read Jay’s Insider’s Guide to Maui,and contact him through our site to be marked as a VIP and get the best possible trip. Read Sheri’s Insider’s Guide to the San Juan Islands, and contact her through our site to be marked as a VIP and get the best possible trip. The Four Seasons Seattle. Photo courtesy Steve Sanacore. Read Sheri’s Insider’s Guides to Seattle, and contact her through our site to be marked as a VIP and get the best possible trip. Book one of the four suites at Cougar Ridge Lodge and you’ll have access to an exhibition kitchen where cooking lessons, wine tastings, and custom wine blending can be arranged; a roomy bar; a game room with a state-of-the-art simulator and a full-length bowling alley; and ATVs, horses, and bikes available for an additional cost (guests at the less expensive casitas that have recently been added to the property can’t use most of these features). The two suites on the north side of the lodge have private hot tubs; the two on the south side have access to a wrap-around deck that leads to a shared hot tub. 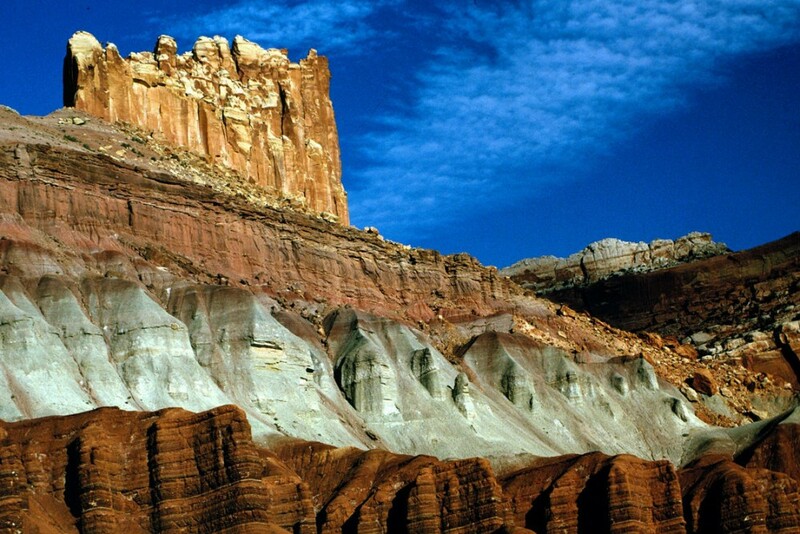 The lodge is a half-hour drive from the entrance to Capitol Reef National Park, home to amazing rock formations, excellent hiking and road touring, fly fishing, and more. Read Zach’s Insider’s Guide to Mexico City, and contact him through our site to be marked as a VIP and get the best possible trip. Read Zach’s Insider’s Guide to Puerto Vallarta, and contact him through our site to be marked as a VIP and get the best possible trip. Read Zach’s Insider’s Guide to the Riviera Maya, and contact him through our site to be marked as a VIP and get the best possible trip. Fairmont Chateau Whistler is an outstanding hotel with genuine hospitality and a ski-in, ski-out location at the base of British Columbia’s Blackcomb Mountain. It’s also my favorite place in Whistler to send families—the façade looks like a French castle, but it’s as-homey-as-can-be inside. My kids love swimming between the indoor and outdoor sections of the pool and sipping hot chocolate with marshmallows in one of the three outdoor hot tubs, while my wife and I appreciate the inexpensive meals we can pick up at Portobello Market, a kind of high-quality cafeteria. All of our travelers enjoy complimentary breakfast and room upgrades at the hotel. Read Marc’s Insider’s Guide to British Columbia, and contact him through our site to be marked as a VIP and get the best possible trip. Wendy – your emails and articles are consistently helpful, discerning, and well curated. The Seattle hotel advice in this article is spot on. We all loved the Four Seasons, including the stunning views from the pool and the great location. The room, food, and service were excellent, as you would expect. You are absolutely right that the value was great, and this lovely hotel added a great deal to our family vacation. Thank you for all the outstanding advice and amazing travel agent recommendations! Wendy, these selections are gorgeous. We travel to PNW almost every summer and are big Disneyworld fans as well. But I have to say, these wonderful places you chose can’t be considered Best-Value Resorts by any means. We stay for instance in a fabulous hotel in Victoria, BC with a fabulous water view on our own deck for 1/3 cost of these places. Would I love to go to Sonora, B.C.? Yes. But not for those prices. Went to Tofino last summer. Great resort also for way less. Thanks for making my mouth water for these choices though!